Have you noticed the recent spate of live-action remakes of Disney's most popular animated films? Have you had a chance to see any of them? Here are my favorite three modern, live action remakes of old, animated films. 3. 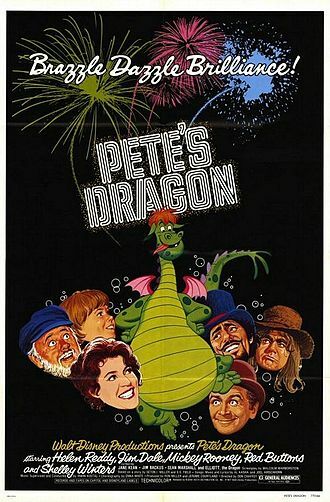 Pete's Dragon (2016/1977): This was the first movie in a real theater (not a drive-in) that I remember going to with my dad. I had the most wonderful time. I think this movie can be credited with beginning my love of movie theaters, fantasy and imaginary friends. (Thanks, Dad) I must have had the record of movie songs (can you guess my age?) because last week, when I watched this again with my kids, I remembered most of the lyrics. The new version of Pete's Dragon is nothing like the old one, but it is equally enchanting. A big, green, furry dragon who doesn't talk befriends a lonely, scared boy, and together, they make their way in the world. I think the new soundtrack is just as lovely as the old one (although it is a movie score as opposed to a musical score), and Pete is just as well played. Some of the scenes in the new movie are probably scarier for younger viewers, but the ending is happier, so that is a plus. 2. 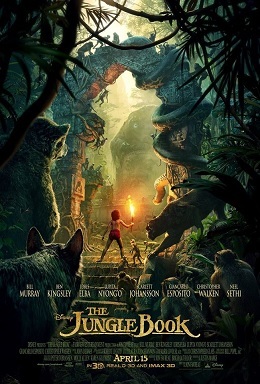 The Jungle Book (2016/1967): Imagine taking a fun romp through Disney's Jungle River Cruise. Then, imagine adding a LOT of suspense and subtracting most of the silly songs. 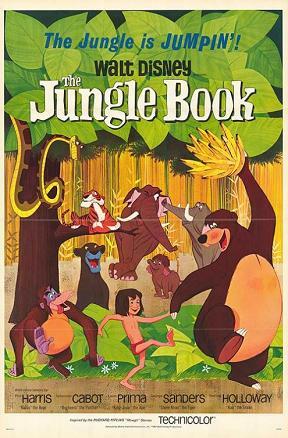 Now you have this year's The Jungle Book. This movie made me startle and gasp in the theater more than once. My youngest daughter can't wait to have her older brother watch the new movie. . . it was actually scary in places! And, the scenery is absolutely amazing. We can't wait to watch this again on DVD! 1. Mirror, Mirror (2012/1937): Okay, this was one of the first remakes to come out four years ago, but I can't help mentioning it. A retelling of Snow White, this is definitely a go-to movie at our house. When we want something funny, happy, pretty and clever all at the same time, this fits the bill. Action + Humor + a Princess who learns to hold her own = Enjoyment. 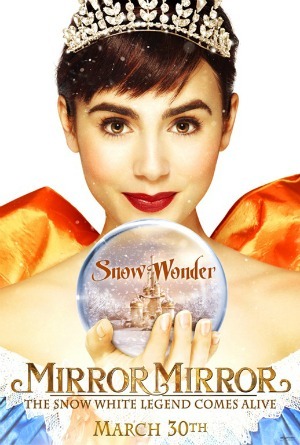 If we want to watch something like The Princess Bride but already watched it last week, Mirror, Mirror is a great choice. Have you seen any of these movies? What is your favorite live action remake? Fun idea for a post, Erin! I'm so behind on movies, I have yet to see any of the live action remakes :( Not only is this blog building up my TBR list, but my to-be-watched list is getting pretty long, too! : ) If only there were more time in the day to read and watch movies! Great post, Erin! Live action remakes are fun. 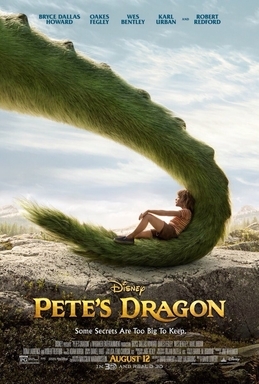 I want to see the new Pete’s Dragon when it comes out on video. I wasn’t sure about the new Jungle Book movie, but this makes me want to see it. Maybe just not alone! I love Mirror Mirror, too, and I am most excited for the Beauty and the Beast live action movie coming out next year! Counting down the months like I was for Cinderella. : ) We are looking forward to the live action Beauty and the Beast, too! We just saw the play and it was really fun! As much as I like live action movies, I am very much a purist. I don't like remakes, and the more they change it from the original, the more I dislike it. However, fairy tales like Snow White (I read the Grimm version before I saw the Disney version) don't bother me for whatever reason. I love Mirror Mirror, but my sister said Jungle Book was infuriating because it ruined the original story. I doubt I will like it very much, just because I want it to be right - The Bear Nessesities, Baghera, Sher Khan's incredible voice, etc. I haven't seen the original Pete's Dragon, though, and don't have any emotional investment in the original, so I think I will end up loving the live action version. Thanks, Hannah! Yes, I agree that remakes often mess up the movie that lives in our memories. . .and books made into movies do as well. I enjoy the movies more if I remind myself to try not to compare. . . but it is hard when the remake is of one of our favorites!